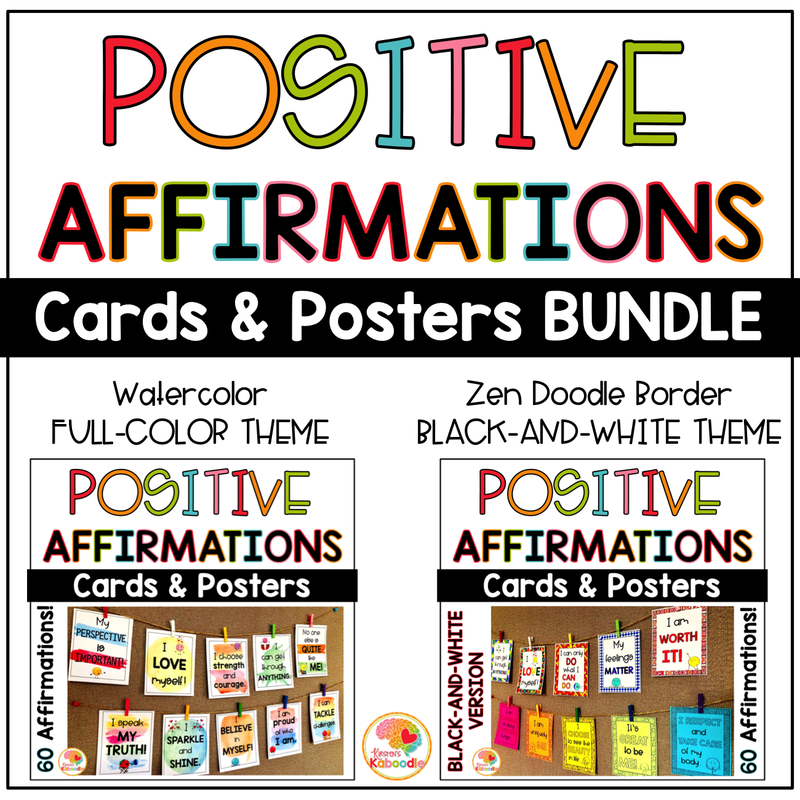 This file contains the Positive Affirmations Watercolor Themed product as well as the Positive Affirmations Zen Border Black-and-White Themed product. 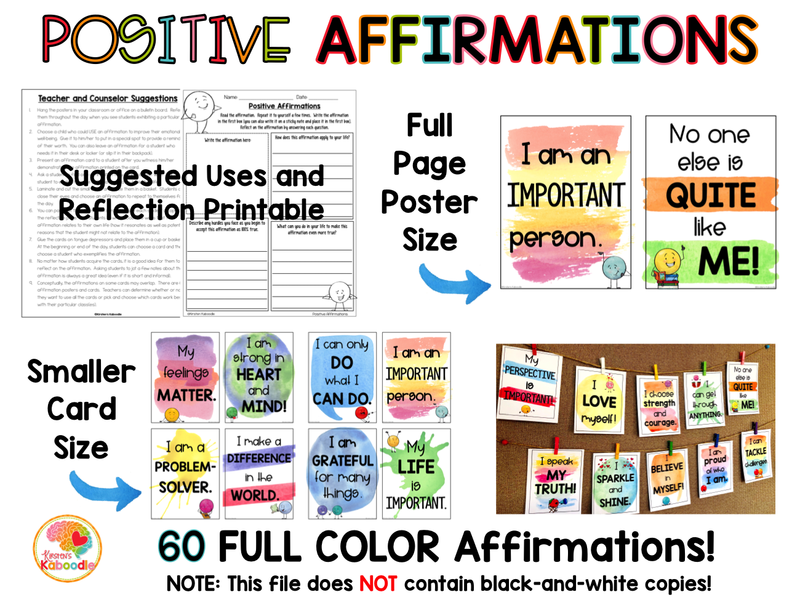 These files include positive affirmations cards and posters and are perfect for any classroom, counselor office, or common area in your school. FULL-COLOR WATERCOLOR OPTION: Print and go! BLACK-AND-WHITE OPTION: You can print them on white paper and ask students to color the zen doodle borders or you can print them on bright colored paper for ink friendliness! 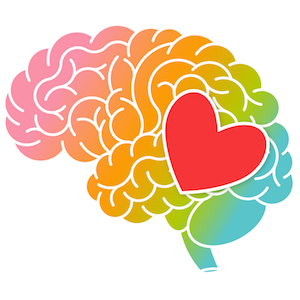 Research indicates that there is a positive correlation between positive affirmations and self-esteem. With a page of ideas for use, you can plan to implement these affirmations with ease. 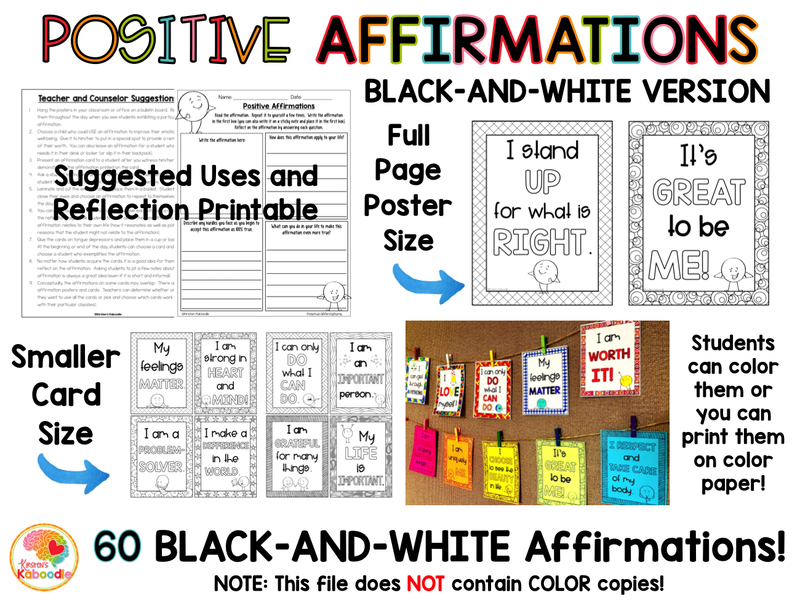 These files each contain 60 affirmation posters (the affirmations are the same in each file). Each poster can also be printed in smaller trading card sizes as well. You will also find a page filled with ideas for teachers and counselors and a reflection page for students. This file contains 158 pages.